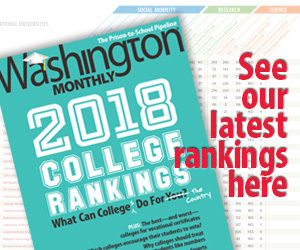 Washington Monthly | Tax! No Tax! Tax! No Tax! Tax! No Tax! Tax! No Tax! The Romney campaign finally had to deal with the idiocy of short-term conservative talking points about the Supreme Court’s ACA decision today. And it probably wasn’t an easy choice. As you may recall, the embarrassment of Fox News’ misreporting of the decision was still in the air on Thursday when a parade of Republican gabbers and conservative talking-heads took to the airwaves to shriek that the Supreme Court had proven the individual mandate was a tax–nay, a middle-class tax increase!–nay, the largest tax increase in the history of the human race!–and thus proven that Obama is a liar! This frantic spin ignored, of course, the fact that the interpretation of the mandate as a tax was precisely how the Chief Justice arrived at the conclusion that it was indeed constitutional, which is why the conservative dissenters heatedly denied that construction. So the Tax! Tax! Tax! message directly contradicted the Right’s continuing claim that the mandate remains as unconstitutional as it was the day it sprang from the brow of the Heritage Foundation’s Stuart Butler (oops!) or the day it was implemented in Massachusetts by a certain governor (double-oops!). This conundrum was particularly unhelpful to the Romney campaign insofar as it attracted fresh attention to the question of whether Romney himself had approved a tax increase as governor (a subject on which Mitt had vacillated in the past), along with the deeper question of whether the man who wants to appoint future Supreme Court members in fact agreed with Roberts’ opinion. To add to the confusion, I am sure Team Mitt will continue to rail at the “tax increases” caused by ACA, referring to the actual revenue measures contained in the legislation. But that, of course, has nothing to do with the mandate, the Court’s decision, or indeed anything that has transpired since 2010. Don’t be surprised, however, if the Romney campaign denies it’s out of synch with other Republicans: what’s another lie compared to everything they’ve said on health care from the get-go?